When I was younger, I always thought of lemons as a summer fruit. Maybe it’s lemonade to blame, since it’s typically pegged as a summer beverage. But lemons are indeed a winter fruit, and I like to stock up when produce is in season. Each winter I make gobs of dehydrated lemons for the year, since I use them in my water every day. I was running low, and was hoping for a good price. I ended up with a 44 pound box for $10. With 44 pounds, I could surely get my year’s supply of dehydrated lemons, and extra for experimenting. One of the most fun things to pressure can, is soup. The tricky part is, unlike stove top soup, you can’t adjust seasonings while simmering, because it cooks while canning. Although, in my first attempts at soup canning, I pre-cooked the dish, then canned it, but the result was a flat, almost sour tasting soup. 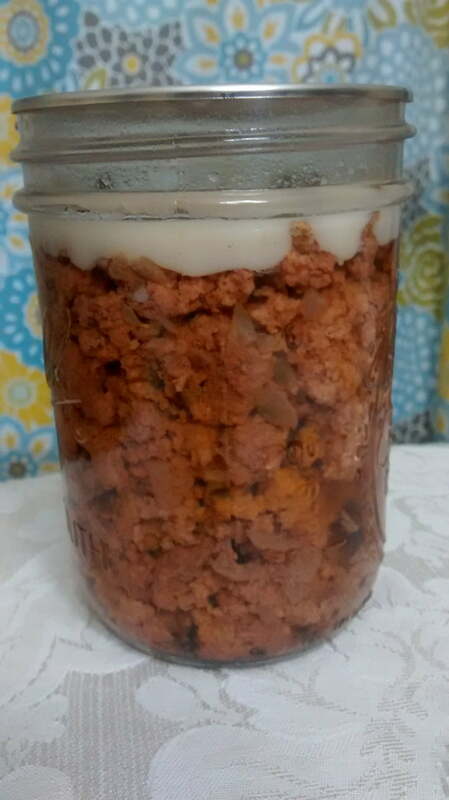 Then, I saw on the Internet the concept of “layered” soups, where you stack raw vegetables and either cooked, or raw meat, in a jar, then allowed the pressure canner to do the cooking. But these soups used water and no seasonings, and that wouldn’t do. I played around with the concept myself, and think I’ve got a solid contender worthy of your leftover turkey.